Col. Lisa Robinson of Inverness assumed command of Civil Air Patrol’s Alabama Wing on Feb. 6 during a formal ceremony at the Wynfrey Hotel as the final event of the 2010 Alabama Wing Conference. “I am thrilled to be able to make this historic accomplishment, but I’m more excited about the opportunities before us in the next four years,” said Robinson, a 1981 Chilton County High School graduate who works for the Baptist Health System as an application analyst. 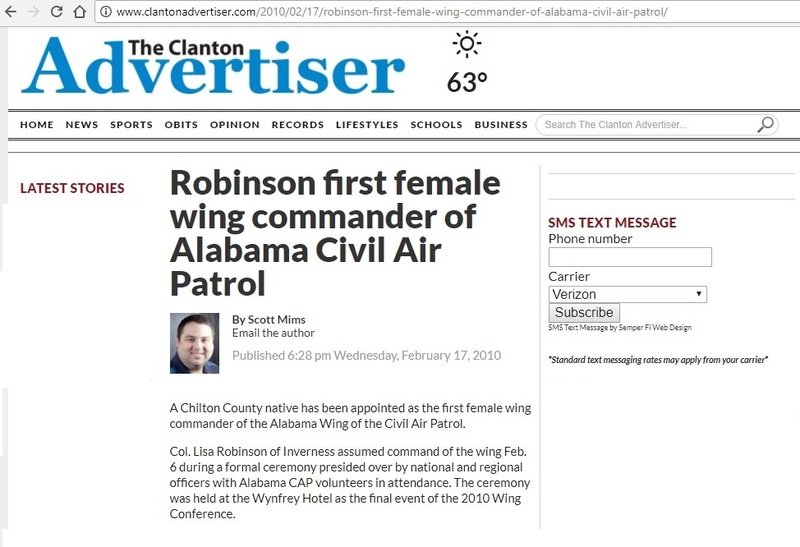 The appointment makes Robinson the corporate officer for Alabama, in charge of 21 squadrons and 14 single-engine Cessna aircraft. She will also serve on Civil Air Patrol’s National Board. In December 2007, Robinson completed all five levels of CAP’s professional development training. Mims describes that each level required Robinson to become more involved in CAP activities, master skills in one of 23 technical areas and develop leadership ability. She has a master rating in flight operations and cadet programs, as well as a senior rating in public affairs. A private pilot, she is also a Satellite-Transmitted Digital Imaging System (SDIS) operator, a mission observer, and mission information officer in addition to other ES qualifications. 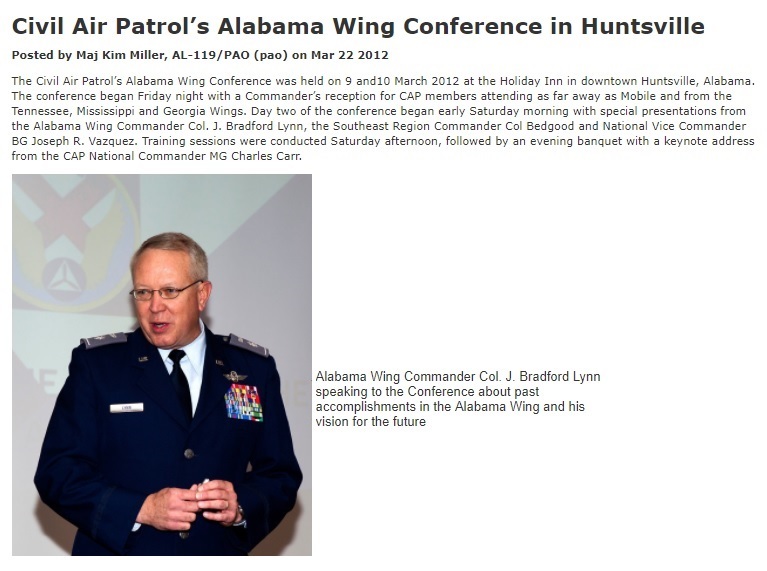 By 2012, J. Bradford Lynn would be the Alabama Wing Commander. The Civil Air Patrol’s Alabama Wing Conference was held on 9 and 10 March 2012 at the Holiday Inn in downtown Huntsville, Alabama. The conference began Friday night with a Commander’s reception for CAP members attending as far away as Mobile and from the Tennessee, Mississippi and Georgia Wings. Day two of the conference began early Saturday morning with special presentations from the Alabama Wing Commander Col. J. Bradford Lynn, the Southeast Region Commander Col Bedgood and National Vice Commander BG Joseph R. Vazquez. Training sessions were conducted Saturday afternoon, followed by an evening banquet with a keynote address from the CAP National Commander MG Charles Carr. 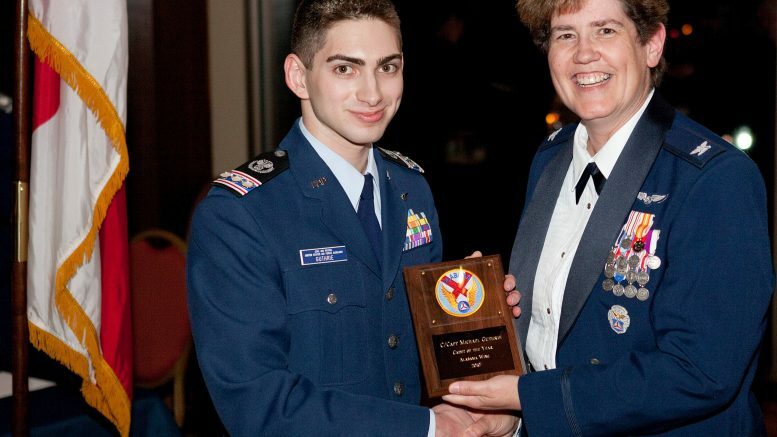 Be the first to comment on "ALWG Civil Air Patrol Has First Female Commander"